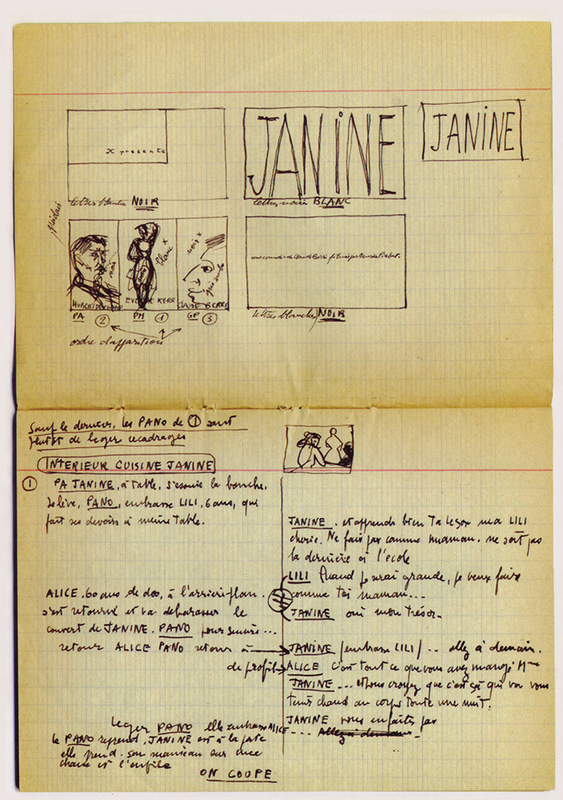 From Pialat's handwritten scenario for Janine. The following originally appeared in the booklet for the 2009 Masters of Cinema UK DVD release of La gueule ouverte  which I co-produced. Dan Sallitt's 2008 essay on Police (which he considers one of his favorite pieces of his own writing) has just been posted at his blog, here. A dossier of my translations of interviews with Pialat about the film has been posted here. 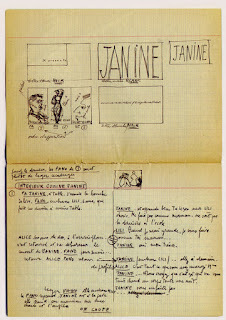 Dan's 2010 MoC essay on À nos amours. has also been posted at his blog here. A visual I made for the film along with my translation of the 1984 Le Monde conversation between Maurice Pialat and Jean-Luc Godard can be found here. Janine, the short I made with Claude Berri, was shot with direct sound, except for maybe a few seconds that I had to dub. In addition to that, the film was butchered, but that’s another story... It wasn’t worth getting worked up over — for example, we were shooting in a café, well, we were shooting from the other side of the glass, the camera was outside, or the other way around. And then, you have to recognize that I was doing the dubbing, but on the spot, at the time of the shoot. We’d shoot a scene, there wouldn’t exactly be ‘kilometers’-worth’ of tape, and we’d re-perform the sound right away, sometimes in an approximate manner, not always synchronous. I’ve never shot other than with sound.